Comp Pro Med is a worldwide leader in LIS systems with hundreds of installations around the globe. Since 1983, Com Pro Med has been developing the Polytech™ LIS. Polytech is well-suited to the unique demands of veterinary labs, offering a comprehensive yet affordable system backed by responsive, expert support. The Polytech LIS has over 30 years of feature additions and improvements to organize your data and streamline your laboratory workflow. Polytech has been installed in over 800 labs worldwide in the past 35 years. Polytech is relied upon by many of the largest Veterinary Teaching Universities in the United States. 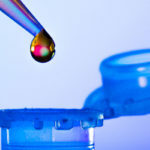 Polytech offers the latest tools to help control laboratory costs. Many laboratory functions can be fully automated with Polytech giving you a significant economic advantage in your market. Polytech is easy to use with a single screen for patient entry, test orders, and result review. Features include: rules execution, result validation, publishing to printers, fax machines, emailing, and uploading to Electronic Medical Record systems automatically. The Polytech LIS is built on the latest technology, EDGE computing topology, the same topology used by Amazon, Google, eBay and other data intensive companies. EDGE computing eliminates the fear of catastrophic data loss or downtime should a server fail. In fact, the Polytech system is a zero downtime, zero data loss system. Polytech can grow as your lab grows. Add volume, departments, work areas, users and more all without interrupting day to day work. Polytech can support multi-location labs as well as enterprise operations. Extensive features such as customized reports for practitioner, clinic and department set Polytech apart. Comp Pro Med writes direct real-time software interfaces to analyzers works with species specific capabilities of those used in the veterinary industry. This eliminates expensive third party hardware and software so your Polytech LIS is reliable and less expensive. 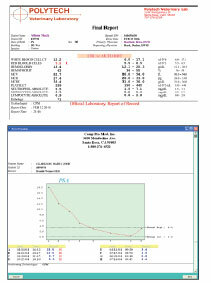 Single screen for patient entry, orders and result review make Polytech easy to learn and use. Interfaces to EMR and billing, and remote results review and reporting. Delta checking, previous results display, complex auto result verification. Automatic abnormal result flagging & automatic recall of demographic data. 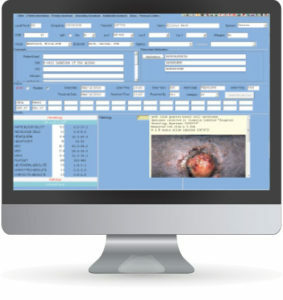 Pathology, Cytology and Formal Microbiology and Specimen Tracking modules. 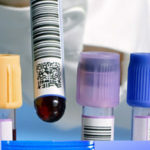 Automatic sample ID and medical record generation with automatic and on-demand bar code label printing. User-defined and pre-defined lists including work-lists, abnormal results, overdue, billing, workload and more. Polytech Web© portal allows your customers to order lab work, lab supplies, print specimen bar code labels, print FedEx / UPS shipping labels, view lab results and download into their EMR. Quality Control utilizes Westgard trending analysis ability as well as many custom quality control features unique to Polytech. Polytech offers dozens of user-editable, and stock reports with graphics. Using the report formatter, clinicians get results in exactly the format that they prefer, and offers management reports set to your specifications. Additionally, you can generate almost any custom report you desire. What Can Polytech Do for Your Lab? Automate your lab, reduce errors and increase turn-around times. 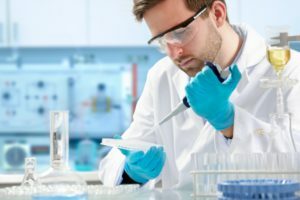 Increase lab capacity without increasing FTEs. Provide instant, accurate recall of all historical patient reports and data. Publish your reports anywhere, anytime, including: network printer, PDF’s, fax and email. Allow your lab to get orders from and send results to your other clinical information systems, such as EMR and PMS. Provide test utilization, workload, charge capture, QC and other reports to help you manage the lab. Polytech Web Portal for web ordering and reporting. Give you a powerful tool for ad-hoc queries (“data mining”) and custom reporting.